We appreciate your feedback to our High Holy Day Task Force. Many of your suggestions and requests are reflected in some new opportunities and in some return to tradition. Open to all, our joyful Family Service is an interactive, prayerful experience aimed at families with children 0-12. We'll sing, pray, talk, listen, move, and welcome Rosh HaShanah together. All are invited to join us early, from 4:45-5:15pm, for free professional holiday family photos. Services will be led by Rabbi Rachel Silveman, accompanied by Gila Bauman and Amy Robinson Katz. A disciple of a certain rabbi once asked his teacher, “You know, I have noticed that each day you walk into the woods. I wonder, why do you go there?”. The teacher replied, “I go there to find God.” The questioner prodded further, “Haven’t you always taught me that God is the same everywhere?”. “Yes”, replied the rabbi, “but I am not”. Join us for a Rosh Hashanah experience where we can be ourselves, pray differently, relate to God, and reach within to access a spiritual dimension not always attainable in a sanctuary. Meditation, stories, song, and prayer will help us be fully present. We’ll begin our hike, led by Al Molitor, from the synagogue parking lot at 9am. Join us there or meet us in the Moose Hill parking lot at 10:30am. We'll conclude by noon. More information, including weather updates, will be provided ahead of time to those who sign up on the High Holy Day Seating Registration form. This alternative worship experience is free, open to the public, and co-sponsored with The Tiferet Center. To sign up for Prayer in the Woods, please click here; or, for more information, please email Rabbi Silverman (rsilverman@tisharon.org). 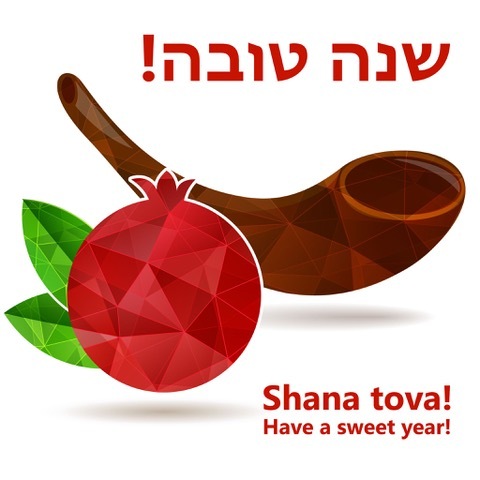 For the past five years Rabbi Adam Greenwald and prayer leader Amy Robinson Katz have led us in dancing on the bima, bowing to the floor, and offered soul-stirring music and teaching throughout. 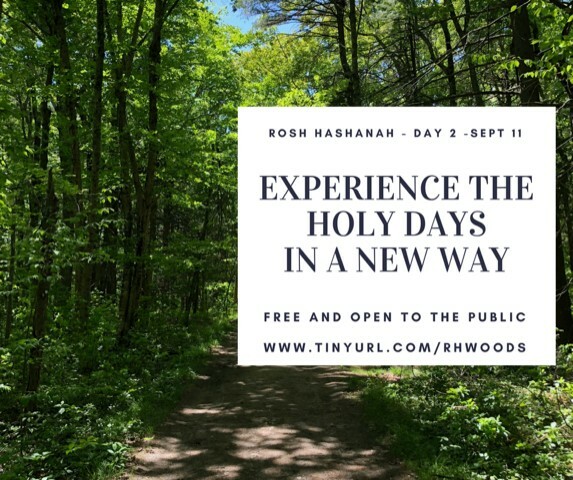 Join them again (or for the first time) and experience a full-participation second day Rosh Hashanah experience of learning, song, and spiritual transformation. Give the Gift— of Honey—to your family, co-workers, friends, to anyone who will appreciate your good wishes for a sweet new year. Click here to order. Please consider sponsoring or donating to our Bimah Flower Fund. Our flower arrangements greatly enhance the holidays but are only provided through contributions from our congregants. To sponsor $360, co-sponsor ($180) or make a contribution of any amount to the Bimah Flower Fund, please contact the Temple Office. Temple Israel is pleased each year to honor members of our community whose participation enriches our synagogue. Honorees will be announced at Ne’ilah services, when our community gathers together at the closing of High Holy Day services. Our luncheon is therefore supported by the community; please consider a donation in support of our honorees.